Happy Easter to everyone. All the masseuses at Tantric Massage in Kensington would like to wish our clients a very happy and enjoyable Easter break. 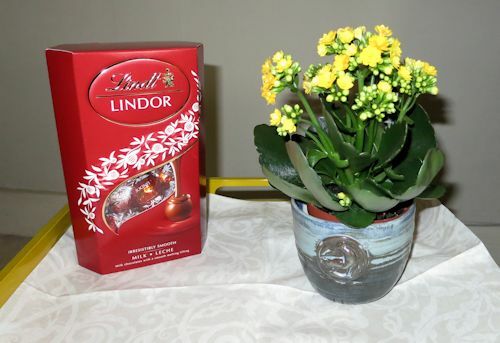 The photo above is of an Easter gift from one of our regular clients, which brought a ray of sunshine and joy into our hearts and into the clinic…… We will re-open next Tuesday. Posted April 17th, 2014 by Eva Evan & filed under News. Posted April 2nd, 2014 by Eva Evan & filed under tantric massage and tuition for women.